← Junk cars and junk yards update for September! One red little tow truck can tow every single junk car in Indianapolis. 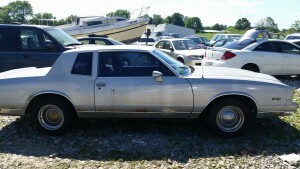 If you have a junk car, and you’de like to get rid of, give us a call. We are here to serve you, make sure you have the title. No title, no money for your junk car. Rather its junk or running, we will still give you a fair quote. We may not be interested in all the running and driving cars out there, but we will at least be able to help you get rid of it… or give you some sort of advice on how to sell it. The same goes for used auto parts, we may not have your part in stock but if you ask… one of our awesome sales contractors will be able to find it for you. So when getting cash for your car, remember one thing. Call us at 317-374-2021 extension 1. That is all, just give us a call and you’ll get a quote. Please remember, if you have flat tires, wheels missing, be sure to let the tow truck driver know this ahead of time. It will save both of us alot of time. As always, may the $ be with you.